180,67 € прибл. 13.042,33 руб. 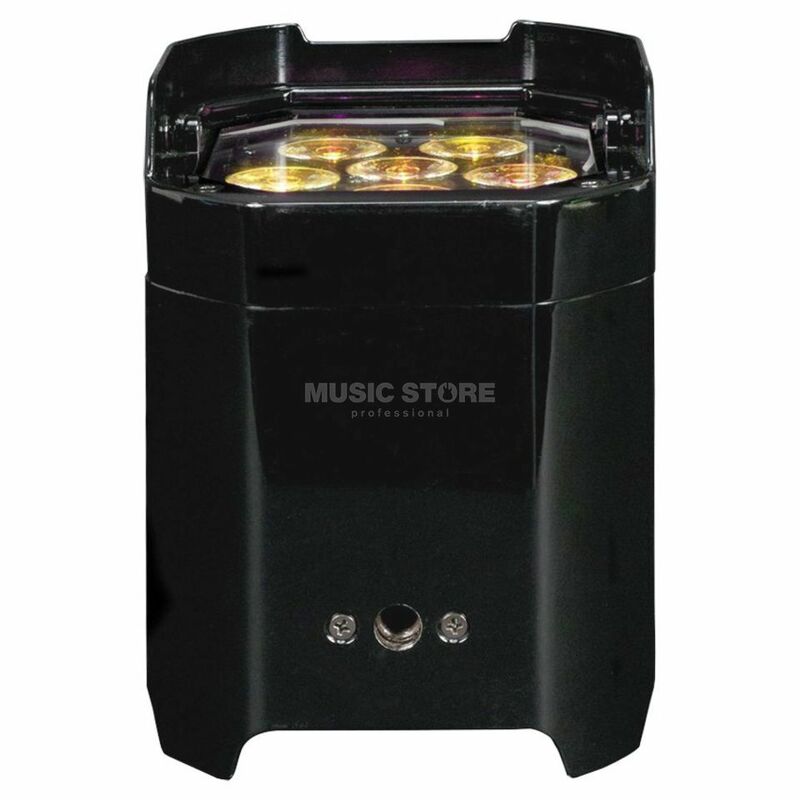 The American DJ Element QA is a battery powered spotlight with WiFly wireless DMX and 6x 5W LED in (RGBA). The spotlight is intended for indoor use, e.g. to illuminate walls and objects. The high-quality LEDs installed in the spotlight have a service life of up to 50,000 hours and convince with their variety of colours. Despite the built-in battery, the American DJ Element QA is very light and can be easily transported and aligned due to the carrying handle and tilt foot. The built-in lithium battery has a running time of up to 7.5 hours and can therefore also be in operation for one evening without recharging. The built-in wireless DMX of the QA element ensures that no additional DMX cable has to be laid when the headlight is in battery operation, thus preventing tripping hazards. Of course, the wireless DMX can be used when the lamps are connected to the mains, and the spotlight also has DMX 3-pin inputs and outputs as well as IEC inputs and outputs.